I'm gettin into the truck this weekend. Its got a 351, auto, new rear-end and it runs tight....I'm gonna try and speed it up a bit and get it cleaned up. Only tragic piece it's missing is the legendary tailgate. 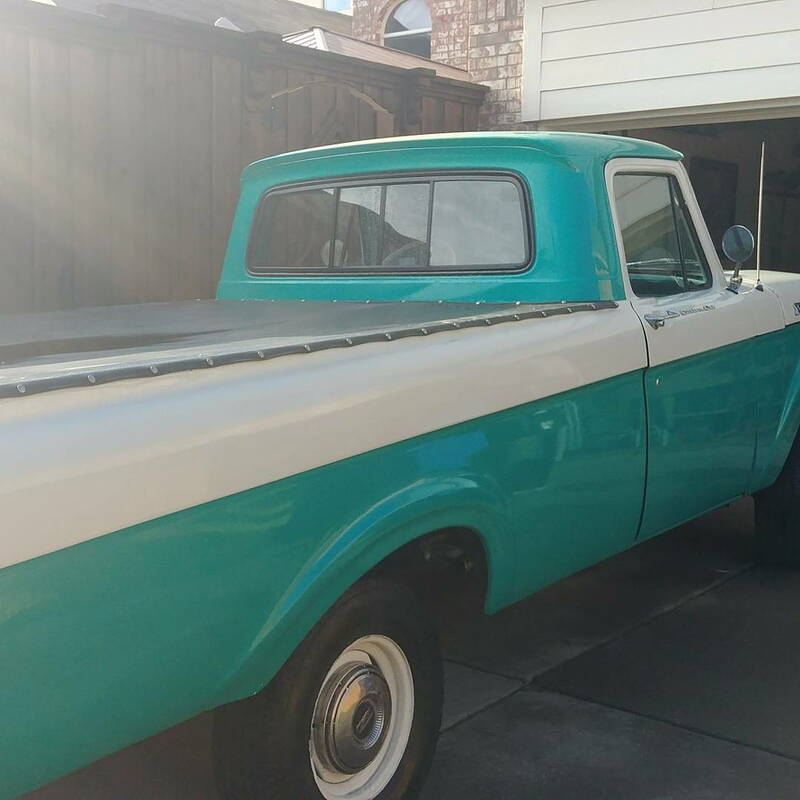 I've been reading every post in the F-100 forum all weekend and I'm thrilled to see another avenue to learn about the truck! Hey Jason, welcome to FTE! I love shortbed unis! I tried to buy a '62 a few years ago before I got my '66 but we couldn't agree on price. Oh well. The frames on the F100's are basically the same for uni's & regular trucks. It's just that the bed was joined to the cab on the 61-63 unibody. 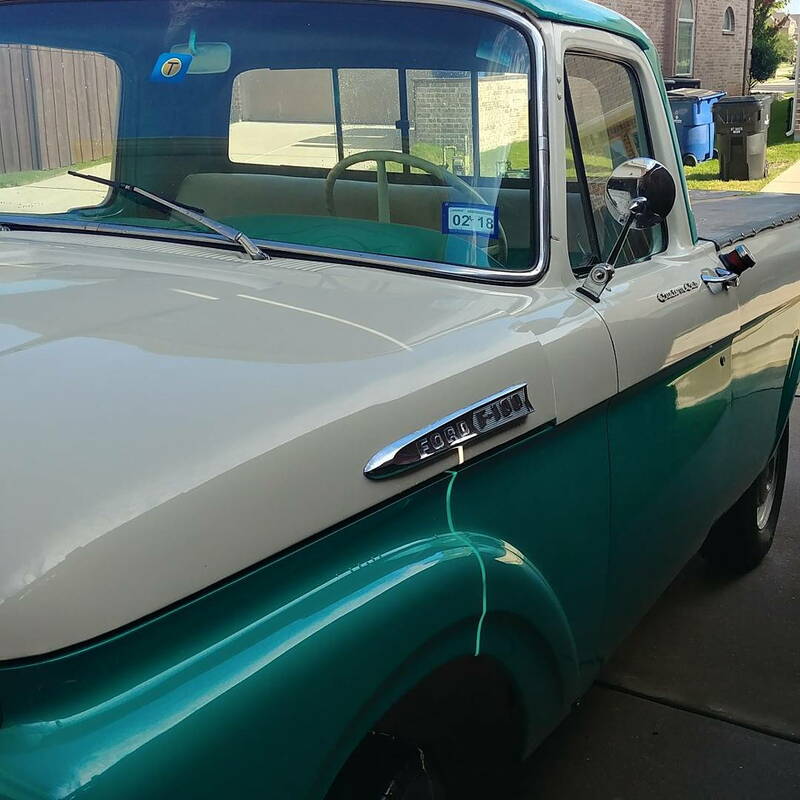 The 61-64 trucks all had straight front axles and '65 was the beginning of the twin-i-beam suspension. What are you plans for your truck? Be sure & post up some pics. We love pics! There's lots of good info and helpful people here, too. 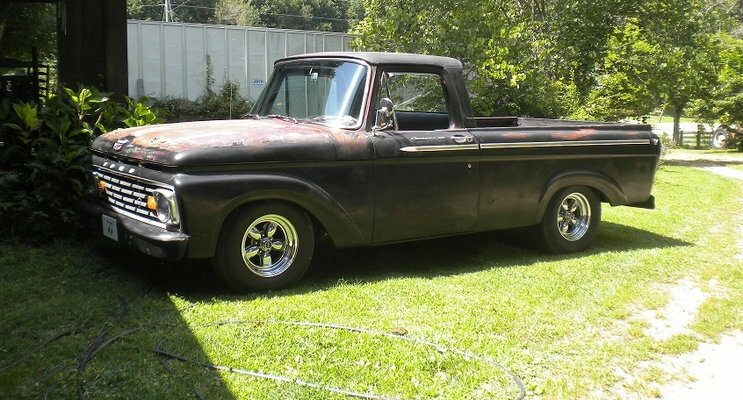 My 63 unibody is a long bed, but i really prefer the short bed. How complicated it is to shorten my bed and how much money am i looking to spend, Any advice will be very appreciated. Im from California by the way. Hey Miklo, welcome to FTE! Where in Cali are you? As for making a shortbed out of your longbed uni, you'd probably be better off selling it and buying the shortbed version. It wouldn't be that hard to shorten the frame but when it comes to the body....major challenge! Primarily because the body line/detail slopes down the side of the truck from front to rear. To get the proportions correct on the wheel base, a section must be cut out before the rear wheels and another section after the rear wheels. On a uni, it takes some additional major surgery to make that sloping detail correct. I suppose another possibility would be to find a shortbed uni parts truck that has salvageable bed sides or entire bed and graft that onto your cab after you shorten your frame. Still a lot of work and extra expensive if you can't do it yourself. I just got a 63 Uni. here in Arkansas. very excited to be part of this forum i will post pics as soon as I clean her up. I am having a issue with vapor locking and found the previous owner ran the fuel line right over the engine, i want to go to braded or metal hose any sugestions? I have not had any fuel evap/boil problems on mine and my fuel line is darn close to the front of the block. But mine is a braided line. Other than that I would just keep it off the block and make sure you are mechanically sound throughout the fuel system. New here, this is my 63, I've owned for 25 years and before that it was grandpa's, he bought new. Looking fowardr to being part of the show. My brother has had good luck with bringatrailer.com. Would love to see some pics of your truck. She’s a beauty. And may I say, you have good taste in vehicles. It was my daily driver in college at Idaho State in the 80's and 90's. To Jackson Hole, Big Sky, Sun Valley, everywhere.